The V1-R is the new frame from Colnago designed for cyclists who are particular about their bike’s weight-to-performance ratio. It is made with the highest quality carbon fibre, selected in cooperation with Ferrari, which is why is we use the Cavallino logo on each frame. 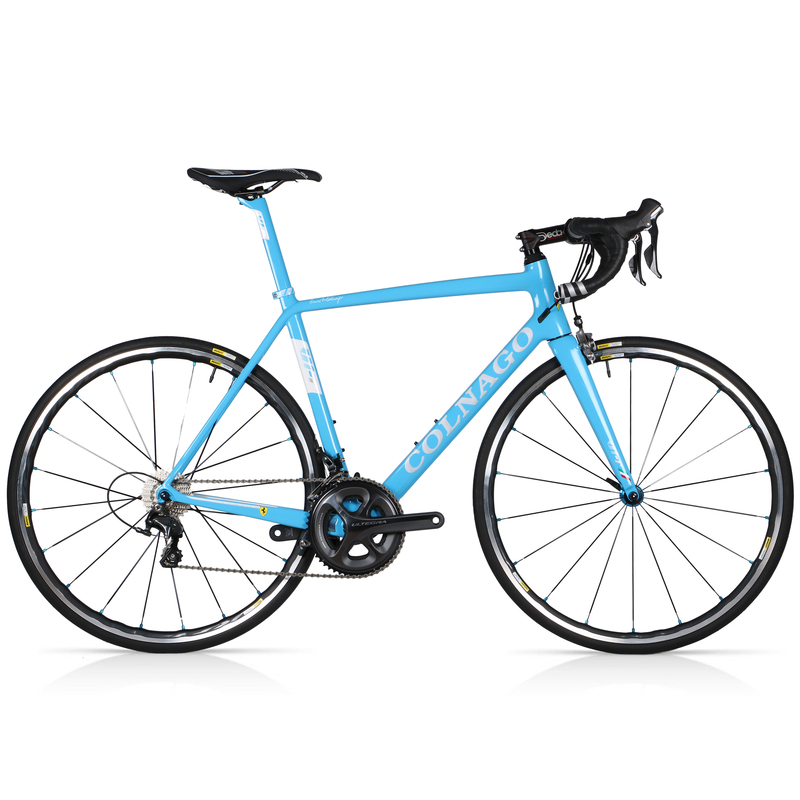 The frame is monocoque, with aerodynamic shaped tube sections, and full-carbon rear dropouts. All of the V1-R’s tubes, including the fork blades and the seat stays, have a special shape optimized in the wind tunnel to make the V1 even faster. The V1-R’s fork is also a new concept, designed and structured to support the integrated front brake body. Another major innovation found on the V1-R is represented by the use of carbon fibre monocoque dropouts and an internal replaceable derailleur hanger.